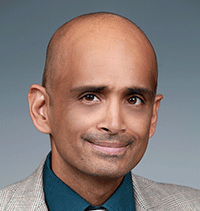 Energy and Environment's Ram Devanathan was elevated to the grade of Fellow of The American Ceramic Society (ACerS). Devanathan was highly recommended by the Panel of Fellows and the ACerS Board of Directors unanimously approved his selection. Ram was chosen based on his research on fuel cell membranes, radiation-resistant ceramics and semiconductors, nuclear fuels and waste forms, and nanoscale processes in ceramics. Devanathan is the manager of the Reactor Materials and Mechanical Design group. He has been recognized previously for being an outstanding mentor and for his amazing community spirit. Recognition will be given at the ACerS Honors and Awards Banquet at the 117th Annual Meeting on October 5, 2015 in Columbus, Ohio. The American Ceramic Society is the leading professional membership organization for ceramic and materials scientists, engineers, researchers, manufacturers, plant personnel, educators, and students.